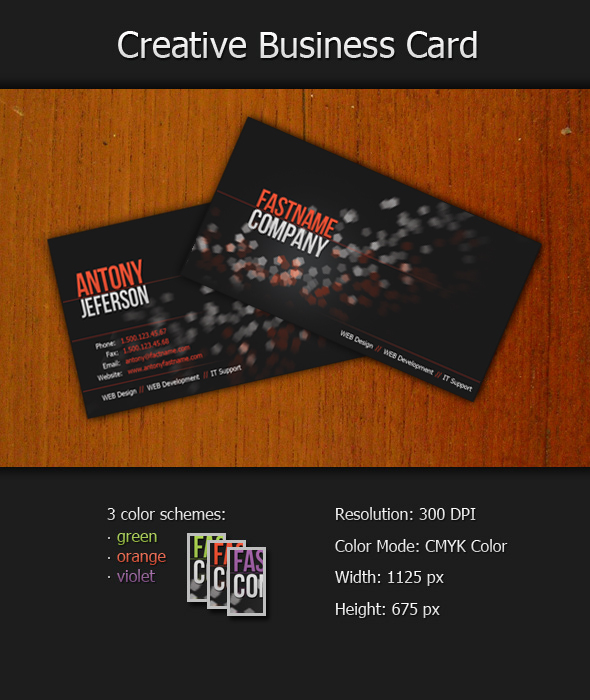 Description: Creative Business Card, a simple and creative design. Amazing aged colours, and modern style. It’s an eye-catching design especially for any type of business. Enjoy! And do not forget to subscribe to the news. New PSD are coming soon!